Graze is reimagining how you snack by taking wholesome, fun ingredients and combining them to make unique flavors that satisfy your cravings. Boxes are normally $14, but Jezebel readers can receive their first box free, including free shipping. Every Graze ingredient is GMO-free with zero trans fats. With over 100 varieties of snacks like Spicy Sriracha Chips and the best selling Snickerdoodle Dip with Cinnamon Pretzel sticks, Graze ensures both sweet and savory fans are satisfied. Answer a few quick questions about your snack preferences, and Graze will customize a box just for you. After your free box, rate your favorites and you’ll receive the 8 Snack Discovery box ($14) so you’re sure to find something you love. 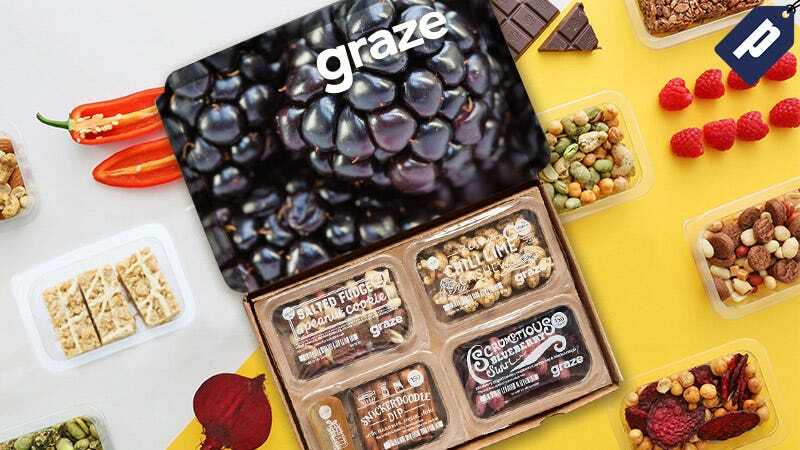 Start your personalized snacking plan today by getting your first box free with Graze, plus free shipping.